Line cookie sheet with sides with waxed paper or cooking parchment paper. In medium bowl, mix cream cheese and 2 tablespoons Buffalo wing sauce. Stir in blue cheese and chicken until well blended. 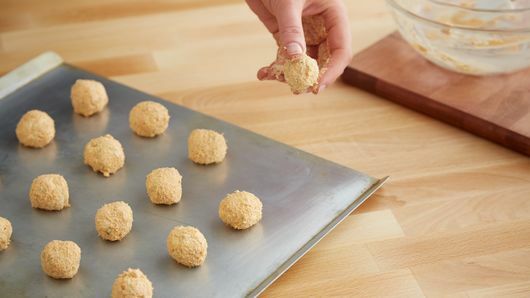 Shape mixture by tablespoonfuls into 16 (1 1/2-inch) balls; place on cookie sheet. Refrigerate 20 minutes. Meanwhile, heat oven to 350°F. 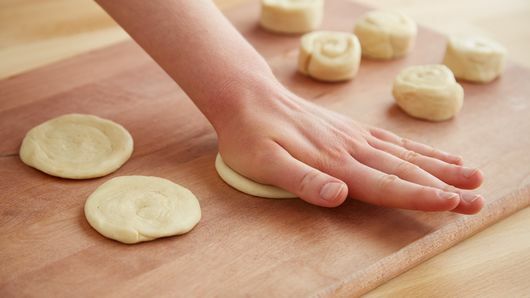 Press each dough round to 3 inches in diameter. 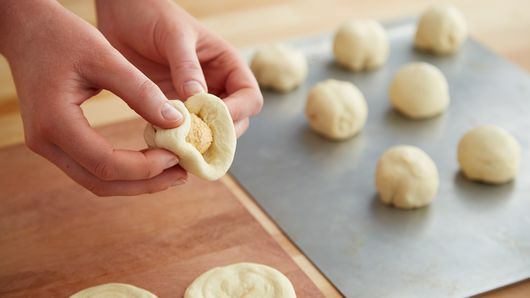 Place 1 chicken mixture ball on center of each dough round; shape dough around ball to cover completely. In shallow dish, place melted butter. 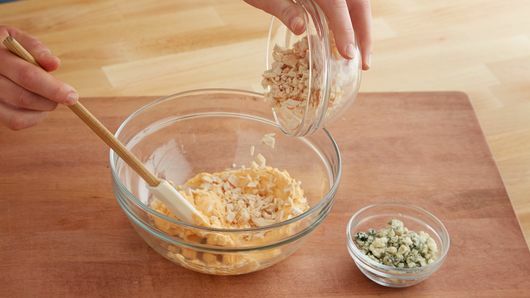 In another shallow dish, place bread crumbs. 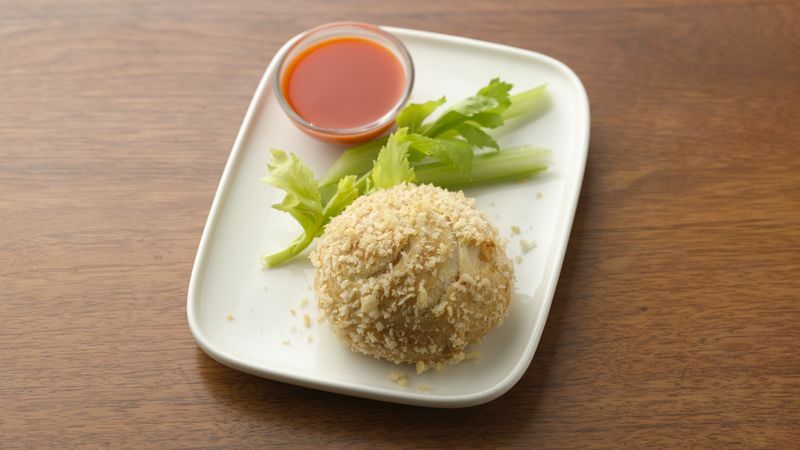 Dip dough balls into butter, then roll in bread crumbs. Place 2 inches apart on large ungreased cookie sheet. Bake 17 to 22 minutes or until golden brown. Cool 5 minutes. Serve warm with additional Buffalo wing sauce and celery for dipping.